Become The Waxer Everybody Loves! 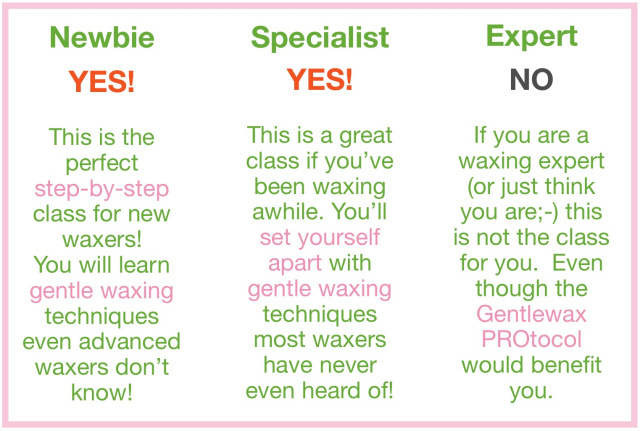 Earn Your GentleWaxPRO Certification Today! "I want to be the best waxer but I can't find anyone to teach me." "I want to have more confidence during my body waxing services." "If I were a better waxer, I could charge more and make more money"
"I get really nervous when I see body waxing on my book." "There is never a class near me, and I can't afford to travel to one." "I don't understand why waxing is so hard for me." It shouldn't be hard. The important thing is to find the right tools to teach you simple, gentle waxing techniques and then to use them. You don't need to jump through hoops and spend years trying to find the right tools, we have already put them all in one place for you with the GentleWaxPRO course. No more fearing body waxing on your book! 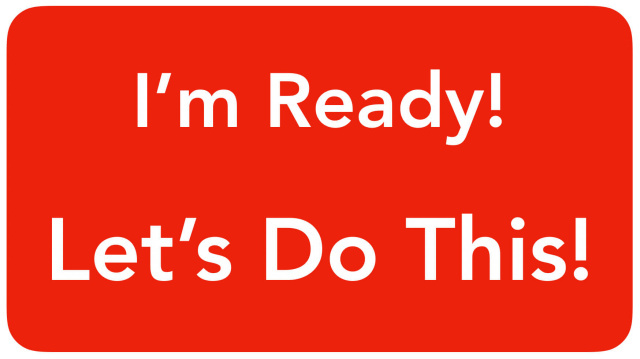 You'll have less anxiety and more confidence with every client! No more wishing for the magical solution, because we'll show you how to take your new skills and turn them into profits in the treatment room. 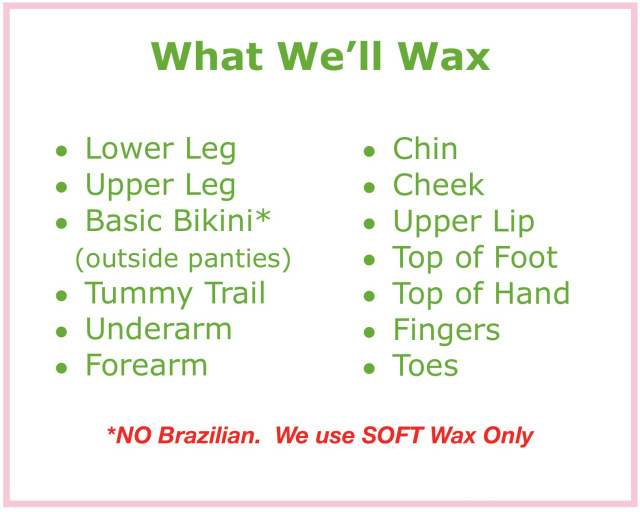 You'll discover all of the Secrets that make Body Waxing much less scary and easier on your body! Step-by-Step Body Waxing! We Have It Just For YOU. 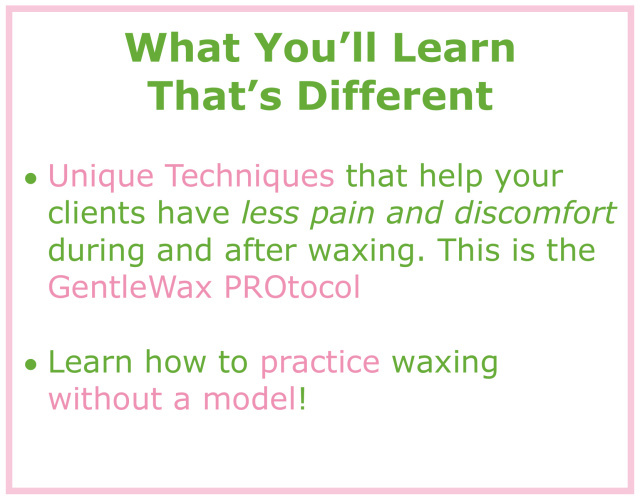 Techniques We've Never Shared Before that will have you waxing like a GentleWaxPRO! Every Lesson Is A Video! Get ready to Binge Watch! Secret Practice Methods that up your game and don't require a model...woohoo! 100 Days Of Full Course Access! This Is Not Just Another "waxing class"
and you'll always have a front row seat! Featured on Good Housekeeping, Today, Yahoo, Fox News Magazine, Consumer Reports ShopSmart, MSN Living, Women's World, Bridal Guide,The Dermstore and more! Over the past 17 years she has developed a signature style and has built a successful niche salon. Currently, she has hundreds of ladies waiting for an initial consultation with her. With a consistent retention rate near 100%, Pamela has developed specialty services that are in demand, and you can too! Pamela has been called "...one of the best eyebrow designers in the professional beauty industry." 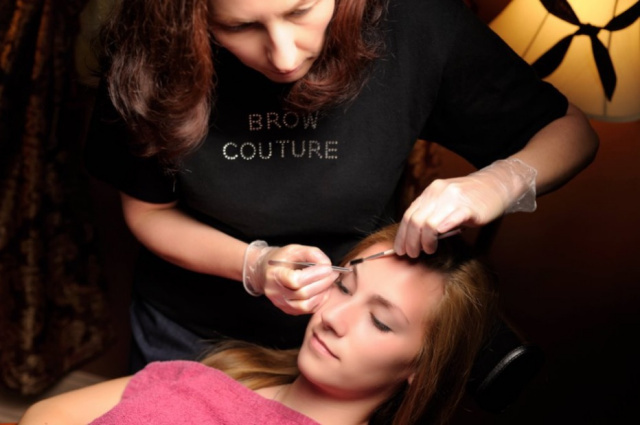 Her clients refer to her Brow Couture Design service as "the Holy Grail of eyebrows" and "Genius". She is know for her flawless, gentle waxing that leave clients skin buttery soft and irritation free. She's "been there, done that"
Valued at over $200 bucks! •FULL YEAR's Worth of WEEKLY NEWSLETTER TOPIC IDEAS PDF. some marketing tips and info for when you send them out. ways to cut costs and add revenue to your bottom line. We share tips you can begin implementing now. •RAISING YOUR RATE: WHAT CAN IT BUY YOU? 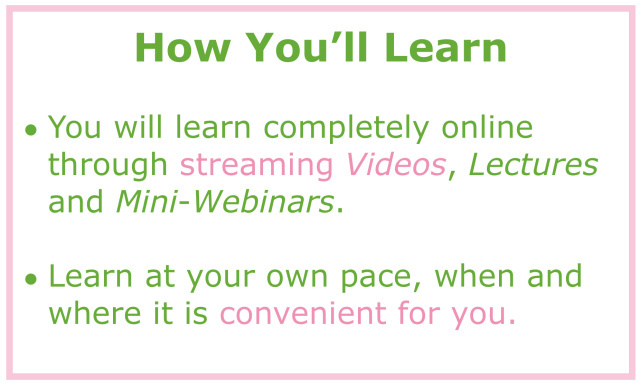 MINI WEBINAR VIDEO. Did you know that raising your rates can do so much more than just make you more money? Watch and see how it can actually buy you time! FREEBIES are accessible immediately right from in your Enrollment Packet! A BEAUTIFUL BONUS BROW CLASS!! This BONUS CLASS will be waiting for you in the Curriculum! Is this class for ME?? "The only thing that matters to the client is how they feel when they leave your waxing room. Knowing how to wax gently and efficiently will keep clients paying top dollar to see you instead of getting the 'average wax' down the street."